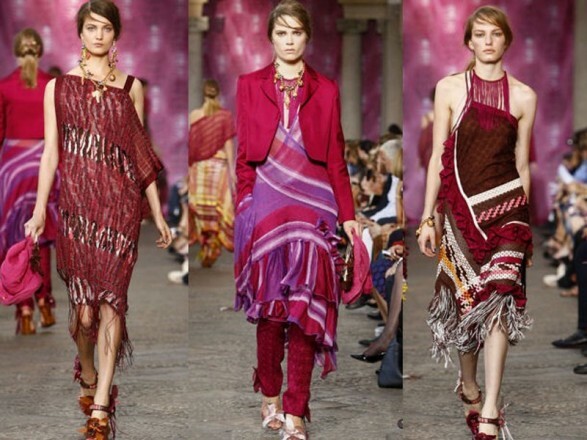 What a party on the catwalk Missoni the Milan fashion shows! What a feast of colors, lines, loose clothing and spectacular! 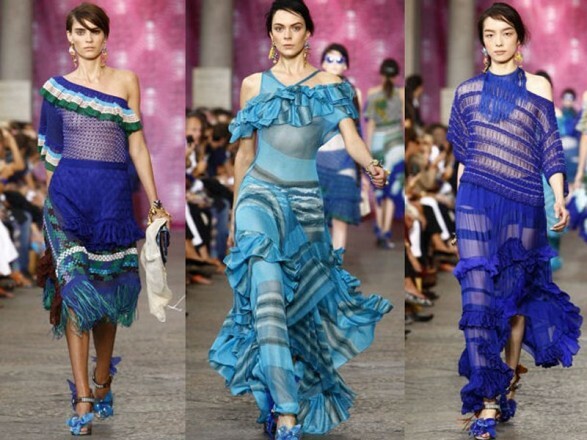 Milan fashion week, in fact, presents the spring summer collection 2012 of the House and certainly does not lack the typical fantasy, but everything is made more cheerful, young and carefree. A young fashion that in addition to those of Missoni colors (many, virtually all shades of the rainbow) focuses on cut on the bias, Asymmetry, overlapping to build … dance clothes, Light fall on the body and maliciously reveal bare skin …. The outfits are spontaneous and are suitable for a girl a little ‘coquette Shawls spectacular mask necklines, dresses with fringes are long and split, instead of the mesh transparent and gives a glimpse of her breasts nonchalantly or belly. The colors blend: White decided, yellow, orange, light blue, blue, coral, purple and even cocoa, green, indigo. The light organza and mesh network transparent, unique colors, prints and patterns are mixed in a rather patchwork also made valuable macro and lace rachel jungle fantasies. Focus also on accessories: Glasses frames with colored enamel in metal, sandals flapping, and applications of asymmetric flowers in plastic and plexiglass heels, handbags and flat circular edges of ruffles, fan-shaped earrings and necklaces of fetishes such as waterfalls and small travel memories.